By providing personal items and necessities for foster children, The Foster Pantry helps families focus on the emotional needs of the children. In the midst of evacuating for Hurricane Florence, Emily and Derek Klinefelter received a call from the Department of Social Services saying that a child needed to be picked up. With their own two boys and one foster child already in tow, the Klinefelters added another to their family that night. The Klinefelters are foster parents. They have fostered more than 20 children over the past two years and in doing so discovered a huge void that needed filling for foster children. The Klinefelters decided to help foster families by collecting personal items like toothbrushes, toothpaste, clothes, diapers, toys and even furniture. They stored everything in their garage and called it The Foster Pantry. “We wanted to help foster parents focus solely on the emotional needs of the child, not the basic necessities,” Klinefelter says. Today The Foster Pantry is an official 501c3 nonprofit organization housed in an office space run solely by volunteers and stocked full anything and everything a child could ever want or need. “We wanted to make it so that no family ever has to say no just because of a lack of material goods,” Klinefelter says. 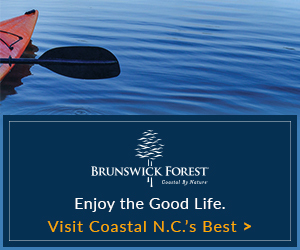 Currently in Brunswick County there are more than 140 children in foster care. 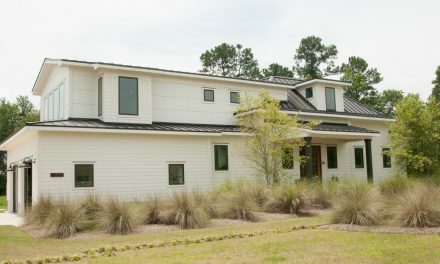 In New Hanover County there are more than 450. The Foster Pantry serves Brunswick, New Hanover and Pender counties and assists agencies all across the state. One Brunswick County foster family, who typically fosters teens, was able to take in a newborn baby thanks to The Foster Pantry’s help. When word spread about what The Foster Pantry was doing, foster mom Stacy Pullen jumped at the chance to help. “I have been a foster mom since 2016,” Pullen says. “I met Emily at a local foster moms support group. 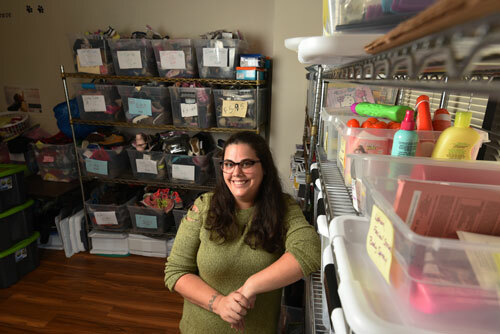 She posted about finding a location and being able to get the stuff out of her garage and into an office space, so I showed up the day they were moving in and the rest is history,” says Pullen, co-founder of The Foster Pantry and board treasurer. To use The Foster Pantry, foster families simply make a request for items online at fosterpantry.com and arrange for delivery or pick up. Special shopping days are also held throughout the year. The Pantry prepares grab bags filled with a week’s worth of toiletries and clothes for boys and girls of every age that social workers can now take with them when having to do the difficult job of removing a child from their home and placing them into foster care. Funding for The Foster Pantry comes from the community. A nonprofit organization called The Pink Ladies was the first to take The Foster Pantry under its wing. “This definitely pulled at our heartstrings,” says Pink Ladies president and founder Eliza Blackwell. “This is a huge need in our community and The Foster Pantry is filling that void. They are doing all the work and we’re just providing monetary donations and volunteer hours.” The Pink Ladies is made up of more than 500 women who do athletics and raise money to help get groups like The Foster Pantry started. “We wouldn’t be here without the Pink Ladies!” Klinefelter says. 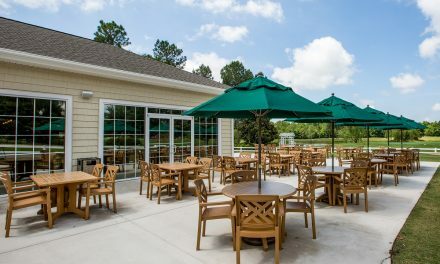 Other sponsors include Coastal Select Properties, Port City Community Church, Winter Park Baptist Church, Penn Plus Creative and North Carolina Sorosis (NCS). The Foster Pantry’s most urgent need at this time is donations of receiving blankets and crib sheets. They also need a bigger location and more volunteers. An increase of children going into foster care in the coming years is expected, due to the growing opioid epidemic. Klinefelter and Pullen say they will be ready. The Foster Pantry will be launching two new programs in early 2019 — meal trains for new foster parents and college-care packages for children who have aged out of the system. “The Foster Pantry can bring the community into foster care,” Klinefelter says. Not only is it a way to help foster kids without having to become a certified foster parent, but also The Pantry provides a stage for the organizers to talk to people about considering becoming foster parents. 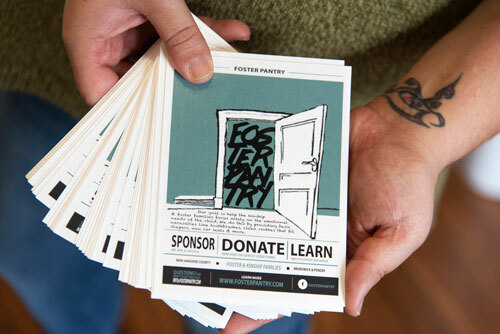 Donations of money and goods are needed at The Foster Pantry.